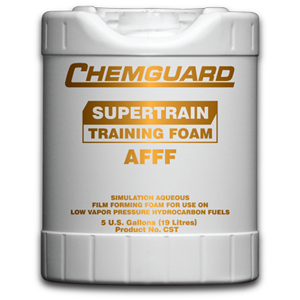 Chemguard Supertrain AFFF is a specially formulated, biodegradable, synthetic foam concentrate, which has been specifically developed to simulate AFFF during live fire TRAINING sessions on low vapor pressure hydrocarbon fuels. Supertrain AFFF has similar performance characteristics as an AFFF but with a shortened drain time which results in reduced burn back resistance. 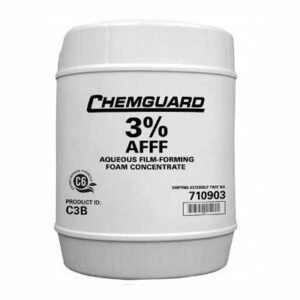 Chemguard Supertrain AFFF is a specially formulated, biodegradable, synthetic foam concentrate, which has been specifically developed to simulate AFFF during live fire TRAINING sessions on low vapor pressure hydrocarbon fuels. Supertrain AFFF has similar performance characteristics as an AFFF but with a shortened drain time which results in reduced burn back resistance. This feature allows more repeat fire training sessions. Because of the limited burn back resistance of the generated foam, it is recommended that no person be allowed within the hazard area during any training session until it has been declared safe by the training supervisor. Chemguard Supertrain AFFF is biodegradable, low in toxicity and can be treated in sewage treatment plants. Supertrain concentrate is not manufactured with any raw material that is listed as reportable on any Federal Register. 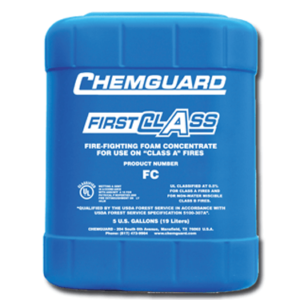 Please refer to the Chemguard bulletin regarding foam products and the environment. If kept in the original unopened and airtight Chemguard supplied container and stored within the temperature range of 35ºF –120ºF, a shelf life of between 20 – 25 years can be expected. When stored in other than the Chemguard supplied container, please call for storage guidelines. CSTP 5-Gallon Pail / 19 Liters 45 lbs. CSTD 55-Gallon Drum / 208 Liters 495 lbs. CSTBD 330-Gallon Tote / 1249 Liters 3000 lbs.